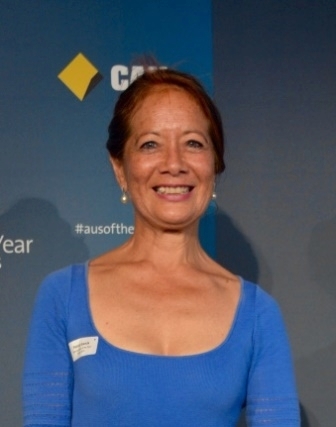 Patricia Garcia is a respected humanitarian and 2016 Australian of the Year State Finalist. For over 20 years Patricia has lived and worked in war zones. She has managed and coordinated humanitarian relief and recovery programs to assist refugees and IDPs in the world's longest running conflicts, including Afghanistan, Sudan and Burma. In 2011 Patricia received an Australian Federal Government award for services to the humanitarian sector. Patricia was appointed Visiting Scholar at the CPACS Sydney University in 2013 to undertake research on peace-building approaches with conflict-affected communities. She is currently supporting peace-building initiatives linking the South Sudanese diaspora with the national peace and reconciliation process in South Sudan. She is also a Committee member of SafeGround, formerly the Australian Network to Ban Landmines and Cluster Munitions. Patricia Garcia has witnessed first-hand the violence and brutal exploitation of women and girls in armed conflicts. Now, through her determination and courageous efforts, the world is finally listening to the stories and suffering of women in war.